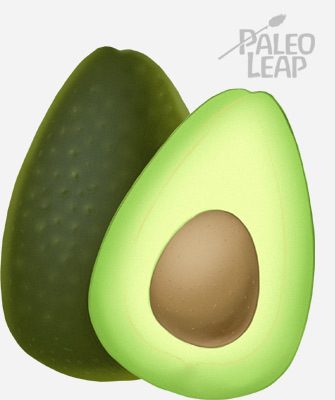 When it comes to Paleo, a lot of the praise of fat is centered around weight and the idea that fat doesn’t make you fat – if specific diseases come up at all, it’s usually cardiovascular disease and the problems with blaming saturated fat for heart attacks. But if you want to understand the need for fat in the human diet, you’ll also have to look a little north of your heart, all the way up to the gray matter in between your ears. If you take out water weight and just look at dry matter, your brain is 60% fat. If you don’t give it the building blocks it needs, you can’t expect it to work properly. So it’s definitely worth your while to keep all those neurons happy with enough (and the right kinds) of fat. “Low-fat” diet: associated with an increased risk of depression in men and women. “Fat-sweet,” “Western diet” (high processed meat, carbs, fried food, and coffee), “Snacking,” and “dessert” patterns: all associated with an increased risk of depression. “Healthy diet” (including lots of cooked and raw vegetables, fruits, and oils): associated with a lower risk of depression in both men and women. Olive oil to the rescue! “Animal protein diet” (fairly self-explanatory): again, only measured in women, but again, associated with a lower risk of depression. All animal protein is accompanied by at least some animal fat. So eating low-fat food or fatty junk food was worse for depression, but traditional fat sources (olive oil, animal fats that come along with meat, fish) were beneficial. Considering that this was France, butter was probably also a staple in the “traditional diet,” which was the best of all the dietary patterns for reducing depressive symptoms. This was true at baseline (1999) and ten years later when the researchers re-measured the subjects’ dietary patterns and depressive symptoms. And they even controlled for reverse causation (depressed people are more likely to eat junk food, so the depression could be the cause and not the effect) as well as they could. Association isn’t causation though, so let’s back that up with some intervention studies. The title of this study speaks for itself: “High-fat diet selectively protects against the effects of chronic social stress in the mouse.” The researchers put one group of mice on a high-fat diet (45% fat) and another on a low-fat diet (10% fat). Then they subjected them to chronic social stress. It started with isolation cages with only sawdust on the floor, and then moved on to a “social defeat/overcrowding protocol” where mice were unpredictably put in overcrowded cages or exposed to stressful contact with a more aggressive and dominant mouse. It’s pretty safe to guess that these were some miserable mice! The mice on the high-fat diet weren’t totally fine, but they did a lot better than the low-fat mice in behavioral tests of various different kinds. Social stress is one of the worst possible stressors for mental (and physical!) health – and a high-fat diet protects against it. In other words: eat enough fat (“enough” meaning not “sticks of butter demolished straight from the pack to make a statement” but rather “roasting your vegetables in butter or animal fat without panicking about it”). Your brain will thank you! To a certain extent, fat is fuel and you need enough fuel in absolute terms to keep the machine running. But the type of fat you eat also matters. Not all fats are created equal. Most notably, Omega-3 fats are incredibly important building blocks for the brain, and dietary Omega-3s have a huge effect on mental health. This is especially true because you can’t make your own Omega-3s: the levels of other fatty acids in the cell membranes of your brain stay reasonably stable regardless of what you eat, but the amount of Omega-3s really depends on diet. This study goes into some detail about the importance of Omega-3 fats: Omega-3 deficiency is strongly associated with depression, and Omega-3 supplementation is a powerful therapy. Omega-3s are also being studied for maintaining cognitive function in the elderly. They’re particularly essential for pregnant women and babies, since newborn brains are developing so fast, but they’re important for everyone. Omega-3 fats are abundant in fish and seafood, especially fatty fish like salmon or sardines (the more fat on the fish, the more Omega-3 per serving). There’s also some evidence that the ratio of Omega-3 to Omega-6 fats is important – so while you’re ramping up the fish, tamp down on the industrial oils and maybe even the nuts. Sources of monounsaturated fats (like olive oil and avocados) also seem to improve mental health, but here it gets complicated because it’s hard to tell whether it’s the fat itself or the antioxidants that come along with the fat in whole-food form. It’s very possibly both. But in either case, it certainly seems like these foods are brain-approved. 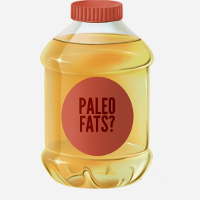 There’s also a lot of evidence that artificially created trans fats (think: deep fryers and Twinkies) are disastrous for your brain, but if you’re eating Paleo, you shouldn’t have any problem avoiding those. You need fat. Your body needs fat; your brain needs fat. It’s not a guilty pleasure or a luxury; this is the fuel you need to live, and its health benefits go way beyond weight loss. That’s assuming you’re getting the right fats, of course. Trans fats are bad news as far as your brain is concerned. And the soy-canola-peanut trifecta of industrial junk oils probably isn’t doing anyone’s mental health any favors. On the other hand, though, Omega-3 fats are crucial for brain health because you can’t make your own, so don’t skimp on the salmon. And whether it’s the fat or the antioxidants or both, it’s hard to go wrong with olive oil. There’s also nothing to fear from traditional animal fats like egg yolks, lard, and butter. They’re delicious, and they’re good for you: eat up!